My memory box: An old wooden box for J&J Colman’s Mustard found in the loft of my first student house, a perfect box to hold my memories and mementos as it is a memory itself. Holding old notebooks, old sketchbooks, exhibition leaflets from my time as a Fine Art student, birthday cards, Christmas cards, messy hand made Valentines Day cards, a note given to me by my Art teacher from school, the watercolour set I used in school, an old recorder, my friends wedding invitation, my Nana’s funeral booklet, a minion teddy Stephen gave me along with wine and steak to make me feel better when she died, love notes, love doodles, postcards, letters, my nephew’s handprints, theatre tickets, gig tickets, Edinburgh Fringe tickets, festival bracelets, train tickets and lastly photographs: Childhood photographs of me with my siblings, pinhole photography photographs, drunken college photographs, drunken university photographs taken on a disposable camera from the Poundshop and lastly the photographs of the dyed red hair girl. 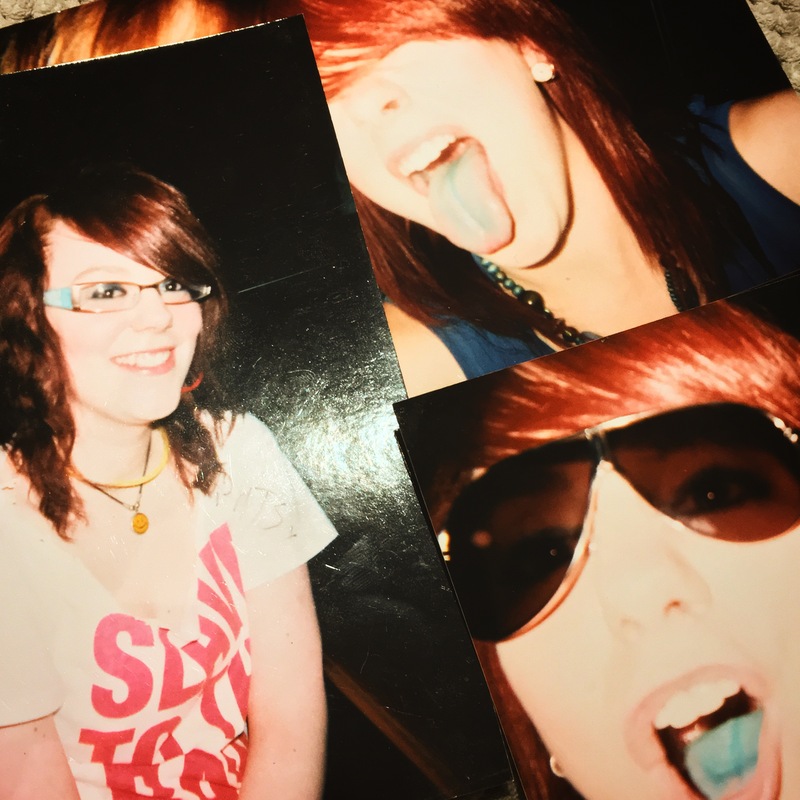 This dyed red hair girl moves into her last student house in 2013, dyes her hair brown and becomes sad resulting in her dropping out of University without telling anyone but her best friend over Skype in the early hours of the morning. She then goes to see that best friend in York as he had just started his own business and thought it would be good for her to help. Then, after falling down the stairs in his house this girl becomes a new girl. A girl who’s had brain surgery and now instead of hair she has a half bald head with staples in and doesn’t know if she’s still sad because she woke up in a world where everything is too confusing and fleeting to understand. The socks she was wearing the night she fell down the stairs. She doesn’t understand why she keeps them, she knows they’re such a strange thing to keep but she can’t bring herself to thrown them away. Which one is the first hospital bracelet and which one is the second hospital bracelet? She can’t remember. She has no memory of this. No memory whatsoever but she kept it for some reason. The bag all her medicine came in. After being discharged from hospital she was being looked after by her mum and one day the girl couldn’t stop throwing up and feeling like something was wrong. So her mum looked at her discharge notes, wrote down exactly what had happened to her daughter so she knew what to say when she rang 111. She rang them and asked what to do, they told her to go to hospital and after being stared at in the waiting room of A&E and only being able to walk two steps with the help of her mum and a doctor the girl was admitted to hospital for the second time. The teddy from a Happy Meal her mum and sister gave to her which brought her comfort and humour in her second hospital stay. Get well soon cards, her friends visiting, her mum complimenting her friend’s hair, the girl been given apples and balloons. Her mum, sister and friend (also housemate) watched a lot of Adventure Time. She doesn’t remember how this print out came to be but she fondly remembers that her mum found this character hilarious. Headbands worn for months after due to her being insecure of her 14cm scar. A blurry memory of eating a gingerbread and drinking a cup of tea with her mum and sister. As well as having a brain injury, the girl also fractured her skull and jaw. Meaning she could only open her mouth about an inch to an inch and a half, the hospital gave her jaw exercisers which she used daily by inserting between her teeth and screwing. The girl was embarrassed by this so she only ever did it in the house. Her jaw is now healed completely. A few months after her injury she walked into a room where her first follow up appointment was being held and the only thing she remembers about the room or the meeting? Seeing her brain scan on the screen with no warning she was going to see it. Once she left that room she scribbled her scan down so her future self could have some idea of what her brain looked like. A note written by someone who ran Momentum Lives and the details of a group therapy session. Her group therapy notebook, she only attended three sessions because she remembers feeling more depressed than she was going in when she left. It wasn’t a positive environment to be in, perhaps she’ll write more about this in the future. 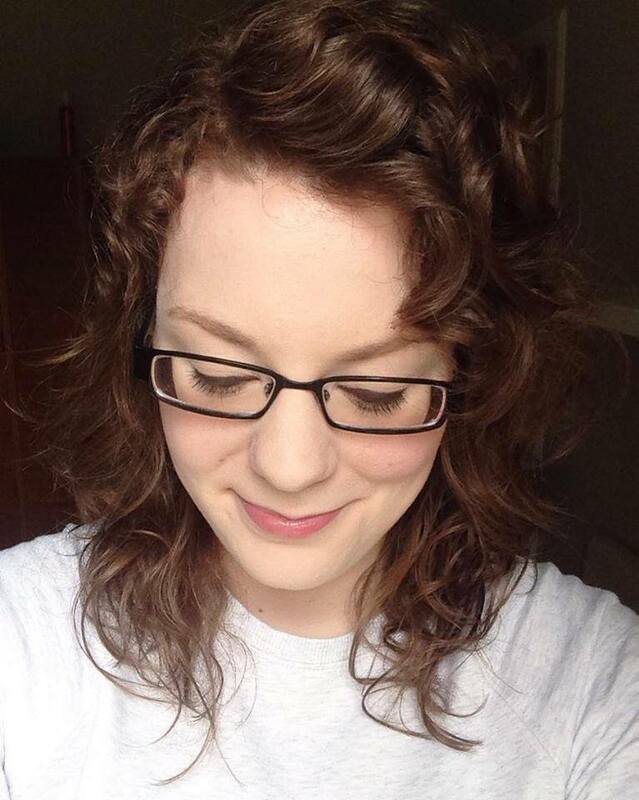 This dyed red hair girl underwent the most traumatic experience of her life and came out of it the other side embracing her scar and natural colour curly hair that grew back around it. The scar made her into who she is today: Someone who wants to help others like her, someone who talks about her brain injury with complete honesty. Someone who feels nervous, scared and vulnerable after writing something like this but also someone who knows it will be ok because there will always be be people, especially brain injury survivors who want to read things like this and they’ll be glad she wrote it. She is someone who is proud of herself because she’s doing what she set out to do in May 2016 when she started Alphabet Brains: Raise brain injury awareness. Do you have any mementos that take you back or that relate to your brain injury? I have no idea why I wrote this in third person but sometimes the words flow and you have to trust them. I think it’s because I don’t see that person, the dyed red hair girl as me at all. I’m so disconnected from who I used to be, that’s normal though because every single person that has a brain injury becomes a new person. Previous Post #BrainQA, Question 15: How often do you get overwhelmed?